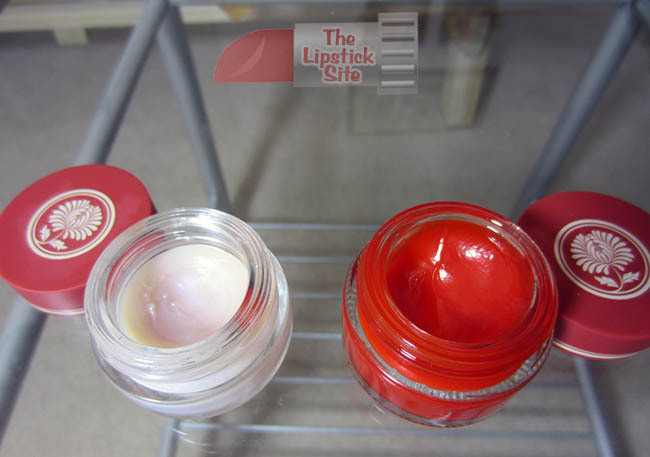 While I’m on this Besame kick, I thought I’d write a quick review of the Sweetheart Balm colors I have so far. I mentioned the Tangerine color in my recent post of beauty product recommendations, and I’ve since then also received the Sweet Rose color. Both appear in the photo below, with Sweet Rose on the left. I was already in love with Tangerine, but I personally like Sweet Rose even better. The scent of Sweet Rose is more soft, subtle, and musky, whereas Tangerine is fruity and a bit more… I guess you could say invigorating. Like, it’s more intense and tangy, which I definitely do not dislike. On most days, however, I prefer the more subtle effect of the lighter color. I find I like the way Sweet Rose looks on my lips better, too, giving them a soft, pinkish shine, as opposed to the more vibrant dash of red produced by the other. Both glosses can stand alone, or look amazing when paired with the right Besame matte lipstick. The other two Besame Sweetheart Balm flavors (which I totally want) are Cherry and Peach. Besame Sweetheart Balm is a great gift for yourself or anyone in your life who might like a lovely little addition to her boudoir vanity. It’s a high-quality balm that I wear nearly every day, and even to bed many nights. This entry was posted in Lipstick Reviews and tagged besame lip balm, besame review, lip balm review, lipstick blog, sweet rose lip balm, sweetheard lip balm, tangerine lip balm, the lipstick lady, the lipstick site by . Bookmark the permalink.